Hi, im playing FTB beyond on 1.10.2 and i can't find the quantum storage disk, is it disabled or just not in 1.10.2? Can you make the item storage size and the liquid storage size changeable in the config? Does anyone know how the quantum crafter works ? even double checked to see if it was in the configs before asking this. Would you consider integrating the chests with InventoryTweaks sort the chests could have sorting capability? EDIT: NM found it with a google search. For anyone else looking it's a chest in the center, 3 obsidian on the top row and 5 iron ingots in the remaining slots. Switch the chest for a bucket for the fluid version or an item frame for the display chip. I honestly couldn't imagine playing modded Minecraft without JEI or it's predecessors. The new model looks awesome ! Mind taking a look into it? Great mod, by the way. EDIT: Okay, disregard this - my Java runtime was out of date. I updated and it works now. EDIT (AGAIN): And now it's crashing again. Same error. No idea anymore. RebornCore's up to date. Does it compare NBT tags? 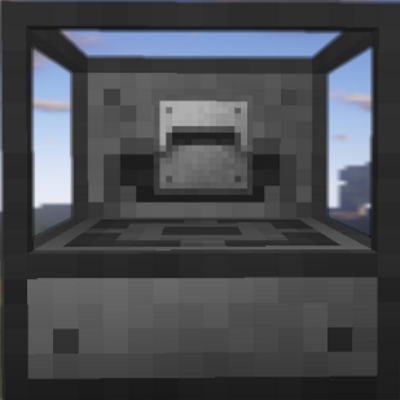 Just wondering if you are planning on porting this to 1.11 any time soon. I'm not looking for an ETA or anything, just asking if it's in the works. I really like this mod and 1.11 is lacking right now for a large storage mod especially for fluids. I think that since 1.11 is much more table than 1.10 from a server admin perspective that the community is probably gonna shift that way sooner than expected.